The core of an electromagnetic relay consists of an electromagnet. An electromagnetic relay is a type of electrical switch controlled by an electromagnet. It is used in a variety of applications, including alarms and sensors, signal switching, and the detection and control of faults on electrical distribution lines. This device was invented in 1835, and its straightforward function has not changed much since. Consumers interact with electromagnetic relays in a variety of forms daily, from timed office lights to test buttons and other quality control devices. The core of the electromagnetic relay, naturally, is an electromagnet, formed by winding a coil around an iron core. When the coil is energized by passing current through it, the core in turn becomes magnetized, attracting a pivoting iron armature. As the armature pivots, it operates one or more sets of contacts, thus affecting the circuit. When the magnetic charge is lost, the armature and contacts are released. 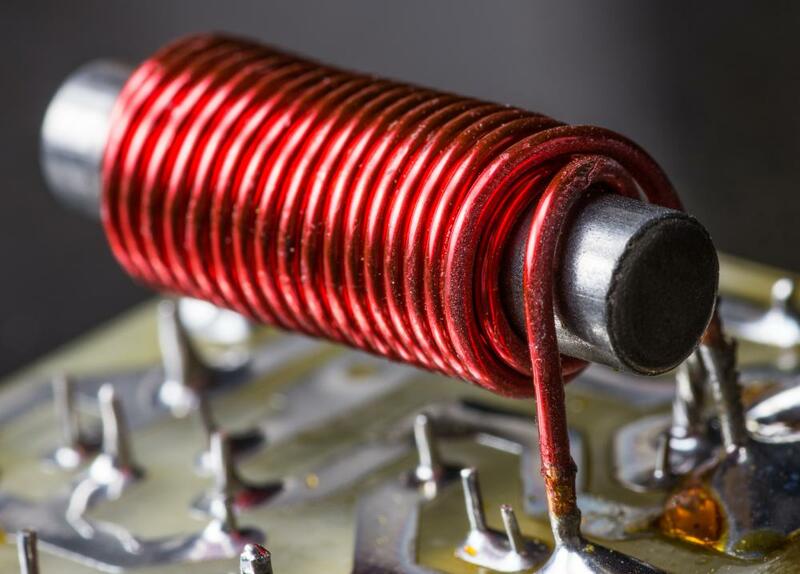 Demagnetization can cause a leap of voltage across the coil, damaging other components of the device when turned off. Therefore, the relay usually makes use of a diode to restrict the flow of the charge, with the cathode connected at the most positive end of the coil. Contacts on an electromagnetic relay can take three forms. Normally opened contacts connect the circuit when the device is activated and disconnect it when the device is not active, like a light switch. Normally closed contacts disconnect the circuit when the relay is magnetized, and a change-over incorporates one of each type of contact. The configuration of the contacts is dependent upon the intended application of the device. The electromagnetic relay is capable of controlling an output of higher power than the input, and it is often used as a buffer to isolate circuits of varying energy potentials as a result. When a low current is applied to the electromagnet, throwing the switch, the device is capable of allowing a higher current to flow through it. This is advantageous in some applications, such as tripping alarms and other safety devices, because a safer low current can be used to activate an application requiring more energy. What Is an Electromagnetic Test? What is an Auxiliary Relay? What is a Power Relay? What is an Eddy Current Inspection? 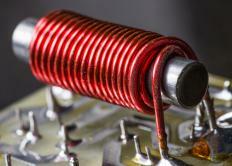 When did the electromagnetic relays come into existence in the world? Is it still being used today? how does a relay operate? about electrical relays; is it OK for alternating relay if we constantly reset it and remove the power from the device (relay i mean)?